We are dedicated to creating win-win relationships between coffee buyers and Colombian specialty coffee producers. Our producers offer unique coffees with a range of certifications types and specialty varieties. Not only do we provide direct access to great coffees, but we help our clients be actively involved and educated about our suppliers, production and the complexities of origin. For our origin partners, we provide support in reaching new markets for their coffees, and help them reach high levels of quality and sustainability. From 5 bags microlots to full containers, our close relationships with medium and small producers at origin allows us to provide unique coffees to our clients. Our daily contact with growers gives us inside knowledge of news and events related to specific origins and coffees. Our market reports include developments in the Colombian specialty coffee market, advice for overseas buyers, and the latest news from our estates. To stay in the loop, write to info@clearpathcoffee.com and ask to be subscribed to our market report. We respond with enthusiasm and the best possible service. We're here to help you find a unique Colombian coffee. We offer over 30 years of sourcing, cupping and coffee exports experience and we stand behind every bag we ship. Even before you visit the origin, you will be able to be directly involved in the production process and work hand-in-hand with the producer to secure consistent quality supply and pick exceptional quality beans. You will have access to a network of over 100 estates and 20 cooperative associations, over a 1000 grower families, we have carefully developed by a life of specialized work in high quality grade traceable Colombian coffees. With our sourcing method and close relationships with the growers, we are able to be directly involved in assisting and promoting higher quality production practices, and in turn provide you a selection of the best coffees available. With our quality control team working at origin through every step of the production process, we can ensure that the quality you buy is the quality you receive. It is our stated goal to reward the people who produce specialty coffees and help them sustain and protect the environment in which they live and work. 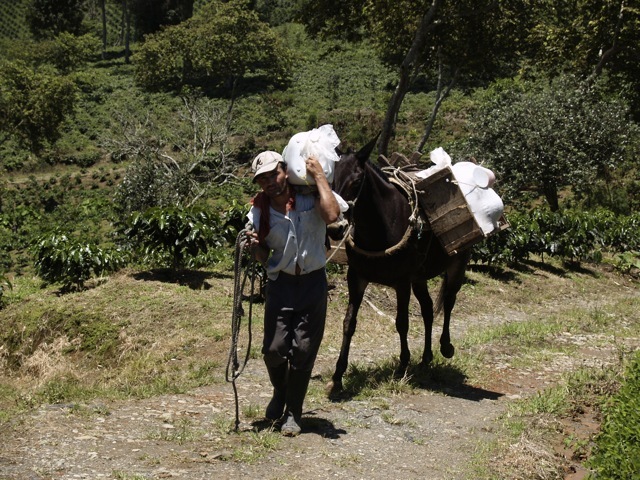 You will have first hand knowledge about available coffee selections and upcoming harvests. Our team is on the ground working with the farmers and as a result, have access to “insider” information. Our team on the ground is your partner in helping you navigate the complexities at origin and local logistics. Direct business isn't complete until you've had a chance to visit your coffee source. When you are ready to make the journey, you will receive all the assistance and guidance to have a productive, stress-free and rewarding visit.